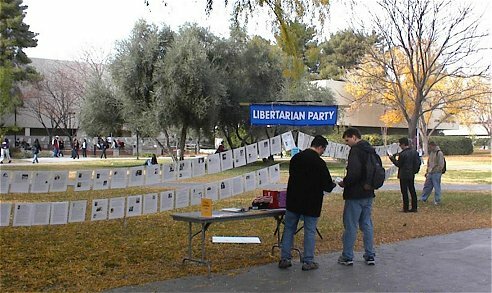 FED-UP's idea for a Wall of Shame came from a Libertarian campus organization at the University of Nevada, Las Vegas (UNLV) in 2001. They strung photos of people convicted of drug laws across their campus quad. They called their exhibit the "Faces From The War On Drugs." 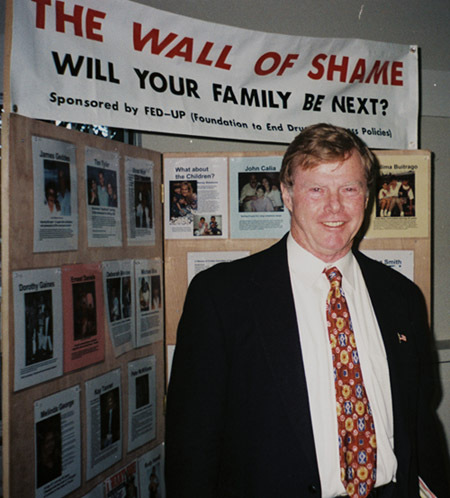 Former police chief of San Jose, Joseph D. McNamara, stands in front of the "Wall of Shame" (2002) after addressing FED-UP members and supporters. Wall of Shame at the April 2005 JSA convention in Santa Clara, California.